On Wednesday, April 10, I had the honor of participating in the Towson University Careers in Aging Panel Discussion, hosted by the Department of Gerontology. I was asked to talk about myself and how my career path within the field of aging took shape. When I was initially asked to present, I immediately thought back to the panel discussions I was able to attend as an undergraduate student in the gerontology program. I remembered not only the valuable networking opportunity as a soon-to-be graduate but also my “ah ha” moment of realization that the possibilities within the field of aging are endless. 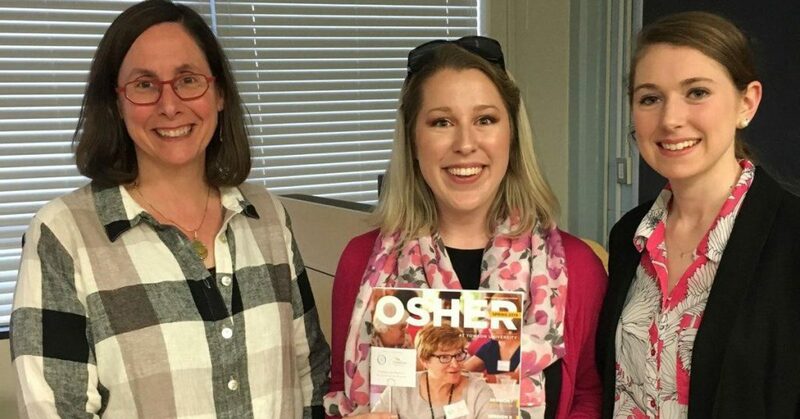 As the membership coordinator of the Osher Lifelong Learning Institute at Towson University, I’m able to interact daily with our members, assist with facilitating classes, and ensure that the needs of our members are met. I told the group, “the best part of my job is making sure our members are happy.” I knew that speaking at this presentation would give me an opportunity to not only educate the students on lifelong learning programs here at Towson University, but to also show them first-hand how my experience within the gerontology program helped to guide my path. It also gave me a great opportunity to hear about the careers of the other panelists. Dr. Mary Carter, associate professor and program coordinator, TU Department of Gerontology; Shelby Jones, membership coordinator, Osher at TU; and Lisa Boivin, president, Delta Rho Honor Society at TU. Dr. Nana Yaw Adu-Sarkodie, Deputy Director of Geriatrics and Extended Care at the VA Maryland Healthcare System, presented an eye-opening statistic during his presentation, “ten thousand people have turned sixty-five or older every day since 2011.” While the baby boomers and the rise of centenarians are often topics discussed by the media, this statistic creates a more tangible outlook on just how quickly our population is aging and what this means to those entering the workforce. Each presenter made a point to advise the students that by choosing a career in aging, they have taken a step to ensure their personal job security. With thousands of people getting older each day, those considering working within the field of aging are recognized by and large as necessary additions to the global economy. Michelle Mills, Division Chief of Individual and Family Services at the Baltimore County Department of Aging said to the group, “think outside the box that society places you in as someone pursuing careers in aging.” This advice to the next generation of future health policy makers, geriatricians, and aging specialists may seem cliché but it is a necessary statement to make. 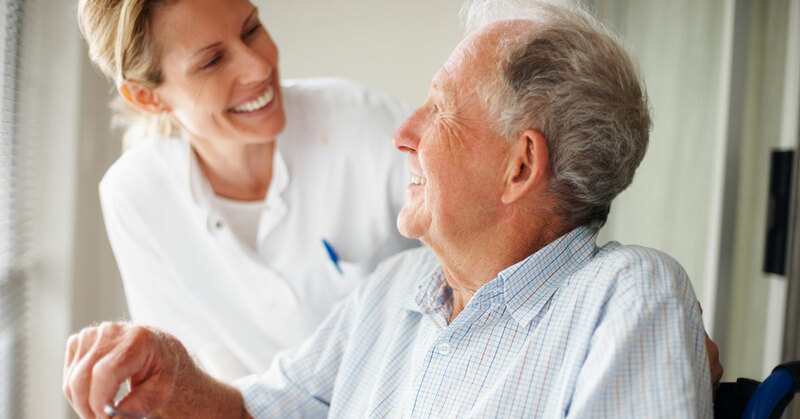 Society makes many unfortunate assumptions about the aging population which include: you’re expected to live in a nursing home, you’re likely to be extremely frail, and you’re not expected to be able to make decisions on your own behalf. During my presentation, I took a moment to ask those in the room to raise their hand if someone had ever asked them “what is gerontology?” or had assumed after hearing their choice of major that they would be working in a nursing home setting. The entire classroom of students immediately raised their hands. While I was not at all surprised, it made me have yet another “ah ha” moment: it is not just the culture surrounding the aging of an individual that needs to shift. You may recall in my last blog post, there is a clearly defined focus on disrupting our outdated views of aging. As a society, we must also recognize that it is just as important to address the need to change the way careers in aging are perceived. At the closing of his presentation, Dr. Adu-Sarkodie said it best: “this field is challenging but limitless.” Having the opportunity to see the next class of gerontology students eager to complete their degrees and position themselves within the workforce was nothing short of inspiring. Reflecting on this reminded me of how I am inspired everyday by our Osher members and how rewarding this experience has been for me. While each career path certainly does have its challenges I know these students will discover how rewarding it can be to choose a career in aging. PreviousDoes This Blog Post Spark Joy? 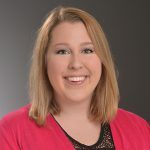 Shelby Ruby Jones serves as membership coordinator of the Osher Lifelong Learning Institute at Towson University. Her duties include reporting and analyzing fundraising goals and membership trends, managing the membership database, and working closely with staff and volunteers to execute events, marketing materials, and member communications.